To List or Not To List an Unfinished Degree on Your Resume? Choosing whether or not to list an unfinished degree on a resume is a choice more and more Americans are struggling with. Listing your incomplete education is a double-edged sword that cannot be avoided. If you choose to omit your incomplete degree, you miss out on showing potential employers the skills and knowledge you have learned. This choice can also leave gaping holes in your employment history that you will no doubt have to answer questions about in your interview. However, including your unfinished degree in your resume shows employers that – for whatever reason – you did not finish what you started. You did not follow through on your degree, and most of what employers are looking for in a degree holder is that you were able to see something long-term through to its completion. Your unfinished degree will no doubt lead to questions about why you were unable to complete your degree. If you’ve got a good answer that showcases your leadership, diligence, and creativity, this could open the door to a good outcome for you and your career goals. However, the answers may not be so good, and even if you do have a good, interesting reason for not completing your degree, potential employers will see first and foremost that you have an unfinished degree. This can weigh heavily against you. However, if your college education is aligned with your career goals or the job you are applying for, the benefits of including your credits completed towards your degree and your coursework will in most cases outweigh the drawbacks. If omitting your incomplete education leaves employment gaps in your resume, the benefits of including it outweigh the drawbacks. If your unfinished college degree is your only education, include it! However, if you have another completed certificate or license that is in alignment with the job and your career goals, you may want to omit your unfinished degree if it does not leave any big employment gaps in your resume. So, to list or not to list? In most cases, the answer is yes! 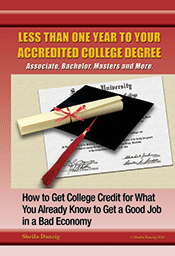 Include your college education in your resume even if your degree is unfinished. Just be tactful with placement and wording. You want to tell the best story of you possible with your resume, and this includes telling your story in the optimal order. Place your education at the bottom of your resume so potential employers will read your work experience before they get to your education. They will also have a feel for the flow of your life, and what you learned experientially. They will see the jobs you stuck with for the long haul and what you learned through them. In this way, they will see what you did follow through on before they see what you did not complete. When you word your education, you may want to use the section heading “Job Enhancement Training” or “Continuing Education” instead of “Education” to list your unfinished college. When you word your college education, you can use the words “coursework towards Bachelor’s degree in Chemistry” or whichever major you were working towards or is in alignment with your career goals. Indicate how many credits you have earned towards this degree. This shows that your degree is a work in progress rather than unfinished, and also shows a direct link between your education and your career goals, especially if your coursework is directly related to the job you are interviewing for. If possible, include an expected completion date. If you are unsure what to do about your unfinished degree, we can help you. Visit us at thecareerpeople.com for a free consultation.